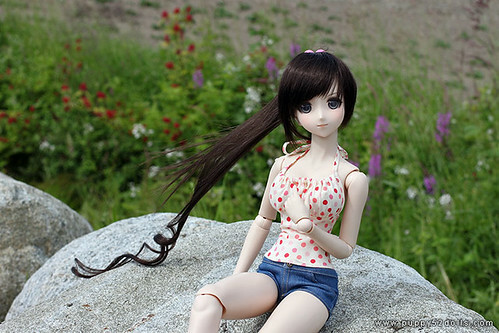 It was another busy week, and the weather was funky, so earlier today when the blue sky momentarily peeped out from the clouds, I had to take Saya out to take some quick photos! That’s pretty neat. I toyed with the idea of something like this before but so hard since it’s not something under my control and even then the hair might decide to not cooperate.